Cross Country Pipeline has an experienced service department ready to support our entire line of equipment. 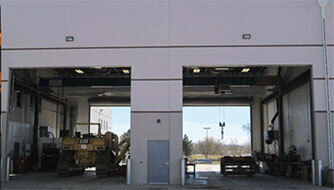 We offer repair and maintenance services in our facility and in the field. We stock or source the parts you need. Call our service department today at 303-361-6797 for assistance. In addition to providing top quality service for heavy equipment, we also offer Calibration Services for holiday detectors, chart recorders, and line locators. Let us know how we can help you get the job done.